Have a look at Bella Coastal Decor exclusive! Bring coastal style to your bathroom with the Cayman Shower Curtain. 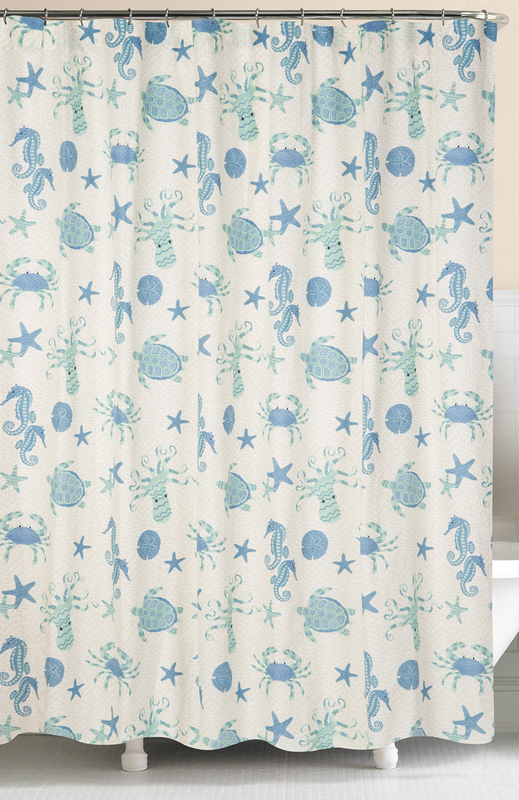 This beach shower curtain features a delightful sea life pattern in shades of blue, aqua, and white. Allow 1 to 2 weeks.72"W x 72"L For additional offerings, we invite you to take the opportunity to peruse our complete selection of beach shower curtains at Bella Coastal Decor today.